Saw your review yesterday (2-Jun) and went for the burger afterwards. Pretty decent, with a flavour that reminded me a lot of the original without the cheap crappy elements. I asked for medium rare and received something around a medium. That said, perhaps they know better than I, as it was perfectly cooked. The flavours are precisely balanced, though I didn’t feel the differing textures coming through. Rather the whole burger seemed consistent – not in a bad way – through all the ingredients. Perhaps mine was short on the lettuce. On the whole I thoroughly enjoyed it. It’s a terrific burger and I’d recommend anyone try it, although for $158 it’s gotta perform. Other notes: Beef & Liberty have changed the cocktail menu for the worse, removing the excellent julep they’d previously offered and instead listing only two gin-based, two vodka-based cocktails and a lonesome Pimm’s cup. Something more original and bolder would be nice. Anyone can do gin and vodka-based drinks. The side of coleslaw I ordered was average, at best. Way too thick on the sauce, heavy, and creamy. It was a struggle to get through. Finally, it should be noted that reinterpretation of the Big Mac isn’t a first in Hong Kong; Butcher’s Club did the same thing last year. 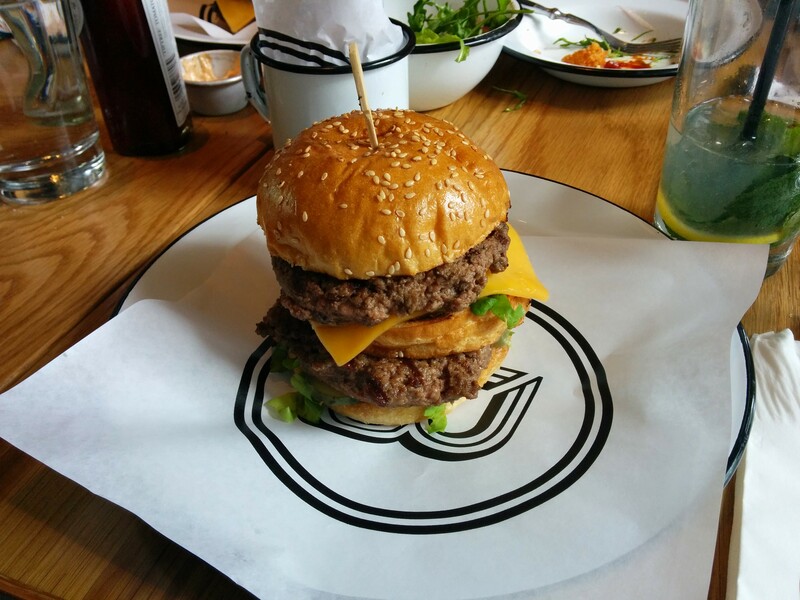 Just realised I forgot to mention the construction – in spite of the two patties and triple bun, my burger held its act together until the final bite. Impressive.